Yelp photo of Murasaki Sushi by Kevin Y. 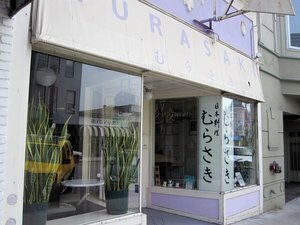 A Twitter pal shared the unfortunate news that longtime sushi chef Toshi (Toshihiro Sasaki) of ~MURASAKI SUSHI~ has sadly passed away, and the restaurant has temporarily closed. There are some very sweet missives to Toshi posted on Yelp (for a change). Condolences to his family and friends (and many fans). The page on Yelp says the restaurant will reopen on September 1st, but ABC license activity points to a new name and ownership. 211 Clement St. at 3rd Ave.